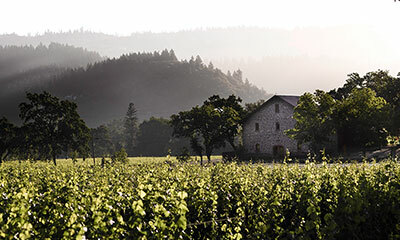 In order to protect the agricultural nature of Napa Valley and to promote sustainable wine tourism, Napa County requires many wineries to be by appointment only. Please call ahead to schedule a time. If you're starting your day in St. Helena before venturing into the hills or northbound toward Calistoga, have a harvest burrito at Villa Corona or a famed English muffin at Model Bakery, both in St. Helena. If beginning your day in Calistoga, check out Bella Bakery or Café Sarafornia. In the eastern hills outside of St. Helena you'll find the Howell Mountain sub-appellation and its mountainside Cabernet Sauvignons. 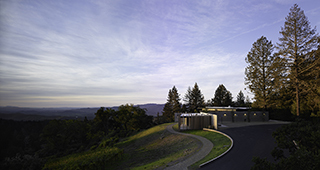 Wind your way up Deer Park Road to CADE, the first organically farmed LEED (Leadership in Energy and Environmental Design) Gold Certified estate winery in the Napa Valley. Enjoy tremendous valley views through tall evergreens and native Manzanitas. 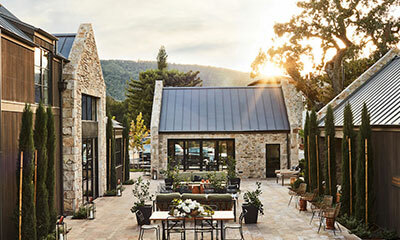 On the other side of the valley, you 'll be off the beaten path with a visit to Spring Mountain Vineyard with its historic stone and Victorian buildings, expansive rose gardens and canopy of antique olive trees, highlighted by intimate tastings of their estate wines. 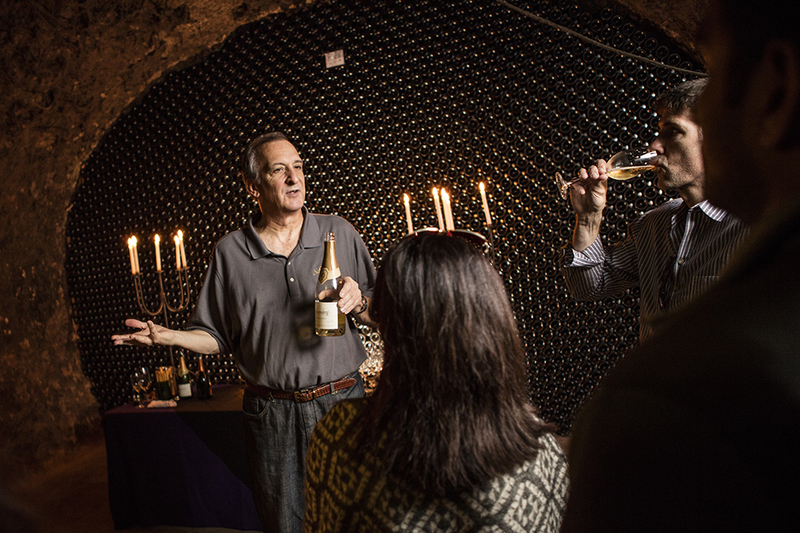 Do not miss an opportunity to spend time at Schramsberg Vineyards, one of Napa Valley's most graceful properties and home to celebrated sparkling wines. 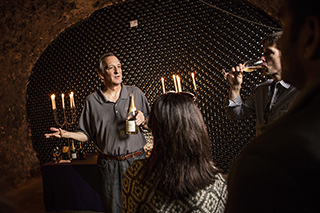 Take part in an educational tour through their historic caves and be introduced to the classic method of producing sparkling wine, ending with a tasting of Schramsberg Vineyards and Davies Vineyards wines. Short on time? Consider visiting the new Davies Vineyards tasting room in south St. Helena instead. 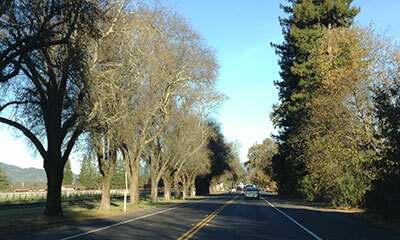 Down the tree-lined Lodi Lane, almost to the Silverado Trail, you can visit two wineries in proximity to one another. Duckhorn Vineyards offers seated tastings at their graceful, garden-lined estate, with individualized attention from their wine educators. Nearby you'll find Phifer Pavitt Wine, with its beautiful barn tasting room and interesting, personalized tours. One of many instances in which you'll be able to purchase wines available in very few spots other than the winery itself.